Web design is one of the key elements for any e-commerce project, responsible not only for the aesthetic component of the resource, but also for the involvement of traffic, ease of operation, positioning of the business, etc. So, for example, a site created in accordance with trends 2010 year, with a small probability will surpass the average trading floor of 2017. Thus, in order for the resource to remain useful to the user and profitable for the owner, it is periodically necessary to carry out the redesign procedure. What should I focus on in 2018? 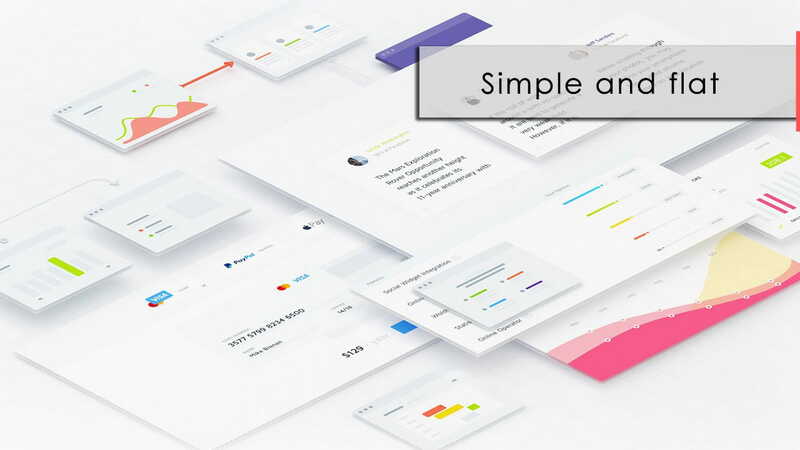 According to Google, presented in the new concept of constructing the logic of the work and appearance of Material Design services, in 2018 the “flat” and “clean” design will gain wide popularity with its smooth shading and transitions for giving depth and complexity effect. Also, the Material Design concept involves the use of a large amount of white and light colors, providing the least strain on the eyesight. Note! In 2018, Google intends to unify all of its products in accordance with the Material Desing concept in order to simplify user experience and perception as much as possible. Trend for large fonts appeared in 2017, but, according to analysts, it will also remain relevant in 2018. They look favorably on mobile devices, less load the site and provide rich er content. Thus, in 2018 most of the major portals will refuse heavy images in favor of an elegant typography. Old gif-animations will be replaced by cinemagraphs – static images with built-in moving elements. This approach, as in the case of typography, will greatly facilitate the sites and, at the same time, provide a dynamic “living” environment. However, it is worth noting that the cinemagrafs are rather labor-intensive in production, so the trend of their implementation will be given priority to large portals. Also, on modern sites will be more animation, which will focus users’ attention on key conversion points. For example, trading platforms will actively introduce a 360-degree representation of goods, which will significantly expand the ability of users to evaluate them. Finally, it is worth noting the need to introduce innovative technologies aimed at mobile devices. For example, in the future, web resources can be integrated with face recognition technology, which can save time during authorization and increase user engagement.